The solution for safety and risk management consulting and training. Construction is one of the highest risk occupations in the country. Lower your insurance premiums and job-related accidents. Alliance instructors are OSHA, NFPA, EPA, HAZWOPER, and EMS trained/certified. Is your Company protected from an "unsafe work practices" lawsuit? What are the serious hazards that face your employees? OSHA conducts inspections without advanced notice. Under the OSH Act, employers are responsible for providing a safe and healthful work environment. Alliance Safety is providing safety management to client Pueblo Mechanical for the Paradise Valley High School Auditorium Remodel. 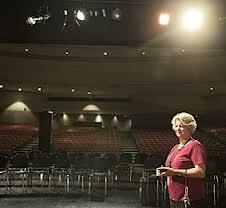 The Paradise Valley Unified School District is constructing a $5 million, 24,000-square-foot auditorium renovation at Paradise Valley High School, located in Phoenix. The auditorium was originally constructed in 1985. The inside of the auditorium has been completely gutted to modernize the space, complete with ADA access modifications, new seating, new theatrical lighting, sound upgrades and a more open entry. New rigging systems and curtains are also being installed due to the increased height from stage to structure, which enhances stage presence by providing a larger opening. Renovations began in mid-June 2012 and will be completed in January 2013. Alliance Safety is a full-service safety and risk management company headquartered in Arizona. Our clients are general contractors, mechanical, electrical, steel, fire prevention, any others working in the construction, industrial and manufacturing industries. Alliance provides safety program management, OSHA, EPA, NFPA and other nationally recognized and compliant training programs, workers’ compensation claims management, loss prevention plans, jobsite audits and corrective action plans and other safety, loss and risk management consulting services. Copyright © 2019 Alliance Safety, LLC. All rights reserved.